The upcoming flagship from OnePlus, has crossed another milestone. The OnePlus 6T has passed Verizon’s certification labs, according to reports. This means that the smartphone will be the first OnePlus device to be compatible with the US based carrier. If the reports are true, it will boost the expansion of OnePlus in the US market. Other reports also show the Geekbench listing of the device. Along with the deal with Verizon, the company is also working on a partnership with T-Mobile in the US. The partnership with various mobile carriers will make sure that the device is known to more Americans, most of whom are not familiar with the company. The deal with these major mobile carriers will pave the way for OnePlus’s entry into the US market as well. Reports also suggest that the deal with Verizon can also carry on for future devices. 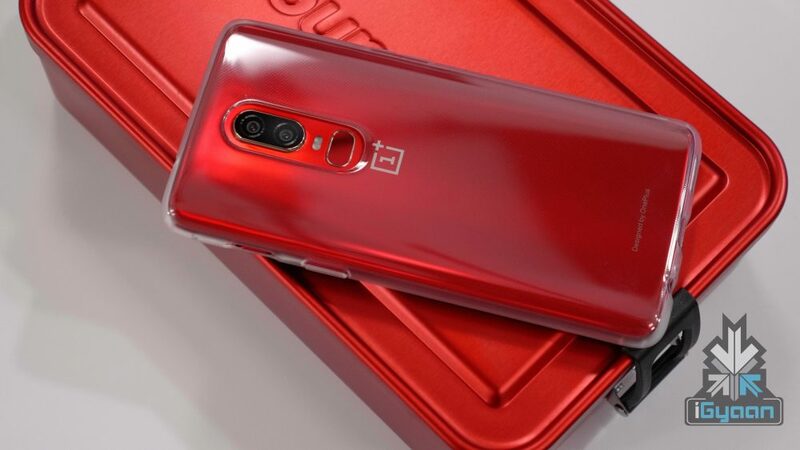 This future device might be the 5G enabled phone that OnePlus is planning to release next year, most probably the OnePlus 7. The Geekbench listing of the device shows that it runs on Android 9 Pie and the Snapdragon 845 SoC. The device has 8 GB of RAM. The listing shows a single core score of 2,387 and a multi core score of 8,925. 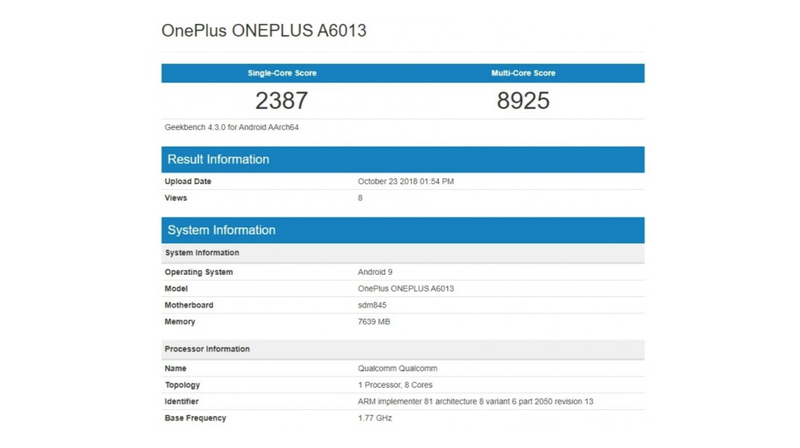 This is pretty similar to the performance of the OnePlus 6 and the scores on the retail device might be even higher considering that this is a pre-production unit. The most exciting feature on the OnePlus 6T is its in-display fingerprint scanner. According to reports, the OnePlus 6T has a water-drop notch on its 6.41 inch Super AMOLED display. The device is running on the Qualcomm Snapdragon 845 SoC with 6 GB and 8 GB RAM variants. It packs a 3,700 mAh battery and runs on a brand new version of the Oxygen OS. The device does however, lack a headphone jack. The OnePlus 6T is also rumoured to have microSD card support, which will be a first for OnePlus devices. The device also has a new and improved night mode to enhance its low-light performance. The alleged pricing and variants of the OnePlus 6T are also available. The device will launch on October 29.